The Safe Schools program provides students, staff and parents with the resources needed to make our district the safest in the state. Our community partners are always ready to assist schools and will do whatever it takes to ensure our kids are safe. Attention Students and Parents, please feel free to use the Safety Tip Line to report anything you feel the district needs to know regarding keeping you safe. You can do this anonymously or you can tell us who you are, your school and what you need. Just go to the district home page and click on the image to get to the survey. Also, information on School Resource Officers is located on the Kentucky Center for School Safety website. You will find below resources for students, staff and families. 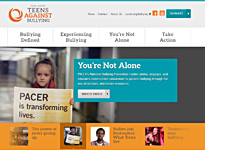 PACER.org/Bullying: This is the portal page of the National Bullying Prevention Center for parents and educators to access bullying resources, which include educational toolkits, awareness toolkits, contest ideas, promotional products and more. PACERKidsAgainstBullying: A creative, innovative and educational website designed for elementary school students to learn about bullying prevention, engage in activities and be inspired to take action. 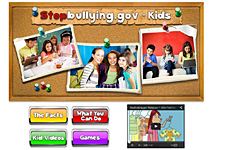 Stopbullying.gov-kids Find facts, webisodes, and quizzes about bullying for kids. A federal government website managed by the U.S. Department of Health & Human Services is interactive, attention getting and engaging. The four sections children can choose from on this site are: “the facts”, “what can I do”, “kid videos” and “games". This format allows for both classroom and individual use. i-SafeInc. is the largest provider of e-safety digital instructionalprogramming for grades K-12 in the world. Floyd County Schools usesi-Safe for all grades.